How do artists make a living? The most common concern of art students and parents is the difficulty of making a living with artwork. This ELO is an opportunity to develop an understanding of how artists make, share, and sell their artwork. Essential Question: How do artists make a living? Research artist careers on mynextmove.org , and/or Naviance. Meet with art teacher and/or ELO supervisor to review artwork and interests. Contact and visit at least 3 local creative professionals (examples: painter, potter, printmaker, children’s book illustrator, craftsperson, metal-worker, sculptor, art professor, conceptual artist, jeweler, paper engineer, gallery workers, family photographer, wedding photographer.) See sample interview questions. Establish a sketchbook/journal practice for brainstorming, graphic organizing, visual notetaking, drawing, and reflection. Work with art teacher to visualize and generate plans for creating artworks based on their strengths and goals. Listen to at least five hours of fine art podcasts or vlogs (Art for your Ear, Bad at Sports, The Art Assignment, skillshare.com videos). (This is part of the 50 studio hours). Practice working in an art studio for at least 50 hours throughout the semester. This could take place in the school art room, in collaboration with a community partner, or in a dedicated space in their home. Student compiles a portfolio of their artworks (in process and finished) throughout the course of the ELO. They are assessed based on their portfolio and the final portfolio presentation to an audience, which may include peers, teachers, community partners, and/or other audience members they select; their final reflection; and the community partner’s final evaluation . Students self-evaluate their work throughout the semester on the school wide problem-solving and self-management rubrics, and their final presentation on the speaking rubric. I work in a community that has a very vibrant arts community, and therefore we have an array of potential community partners for this type of ELO. I would encourage other schools considering a similar ELO to ‘cast a wide net’ and reach out to many makers in the community. 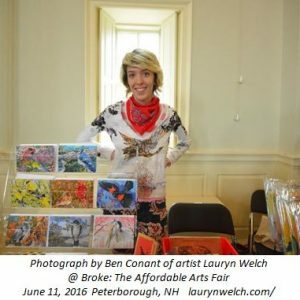 Suggestions for locating artists: talk to people who exhibit artwork in the community- galleries, cafes, local libraries. Search Etsy shops in your area. Reach out to graduates of your school who have creative careers.